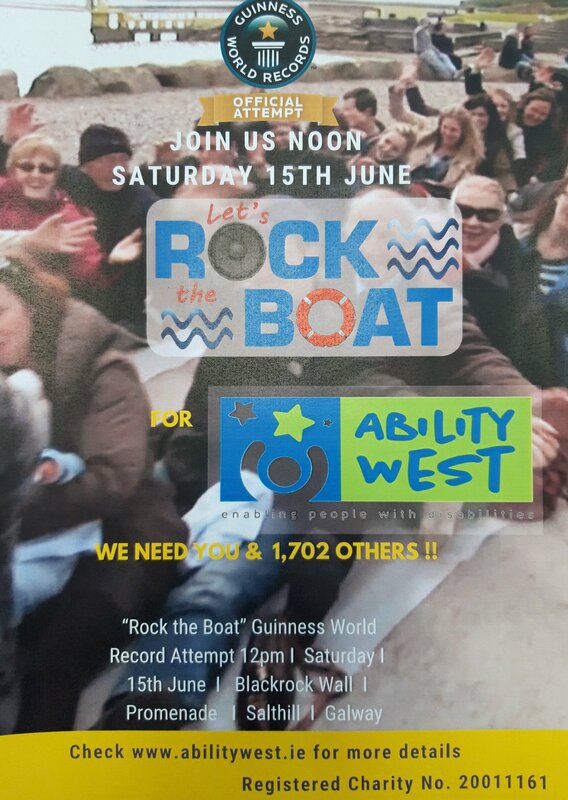 Join us on Saturday, 15th June at 12 noon on the Salthill Prom as we try to break the current Guinness World Record for the largest ‘Rock the Boat’. We need you and at least 1,702 others to break the record. See you there.